The Kobe cloakroom unit combines style with the benefit of storage. 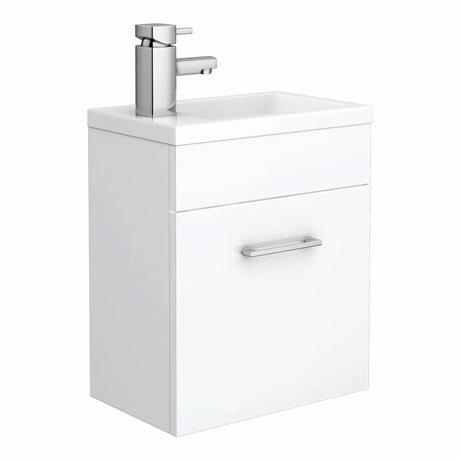 Designed for the most compact of spaces, this unit features a resin basin with a soft close door and is fully assembled for rapid fixing. Basin can be reversed for left or right hand tap hole. Q. Can the sink be reversed so that the tap is on rhs?